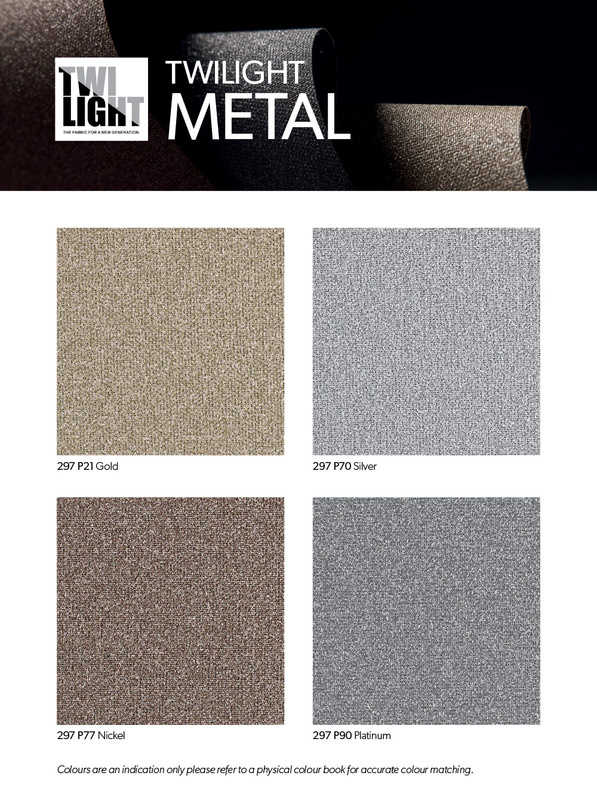 The Twilight Metal range by Sattler offers a range of four metallic finishes – silver, gold, nickel and platinum. The Metal range are all 100% PVC-free and odourless, able to be used both indoors and outdoors, and completely flame-retardant. The subtle metallic finishes will complement decor while offering energy efficiency, privacy and glare reduction.